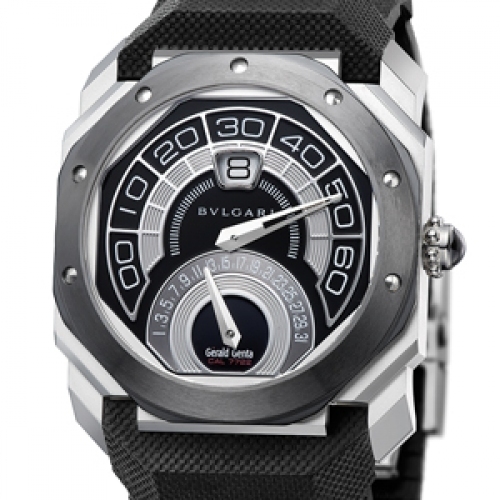 Powered by a manufactory-made movement, this sporty model has been designed for intensive living. A large window at 12 o’clock shows the jumping hours, the retrograde minute hand travels over a 210° arc, while the retrograde date is shown on a 180° arc at the bottom of the dial. At the same time, the studs on the bezel make it easier to read the intermediary minutes in their separate 10-minute segments.